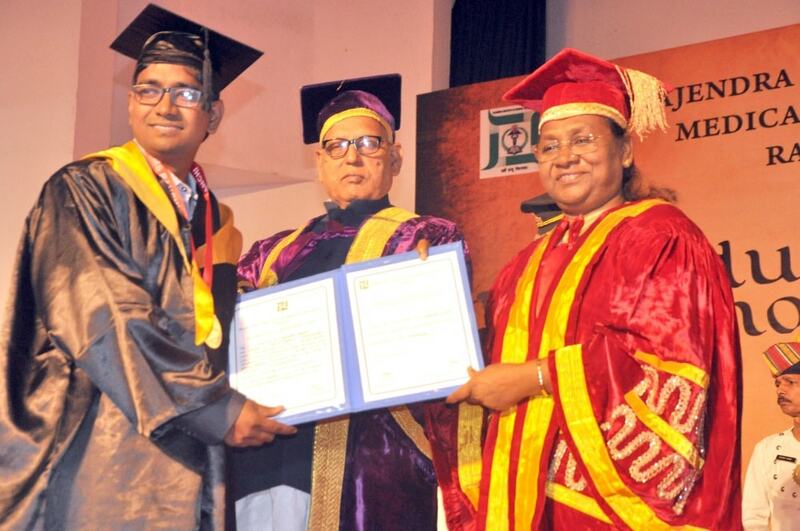 Governor Droupadi Murmu presenting a degree to a student during the 2nd convocation ceremony of Rajendra Institute of Medical Sciences (RIMS) at RIMS auditorium in Ranchi on Tuesday. Health Minister Ramchandra Chandravanshi is also seen in the picture. Page rendered in 0.0699 seconds.